Our weekday mornings aren’t necessarily hectic, but I do need to keep people moving. Fighting over breakfast is not something I want to do – but I also want to give them something healthy. This wrap is a winner every time. 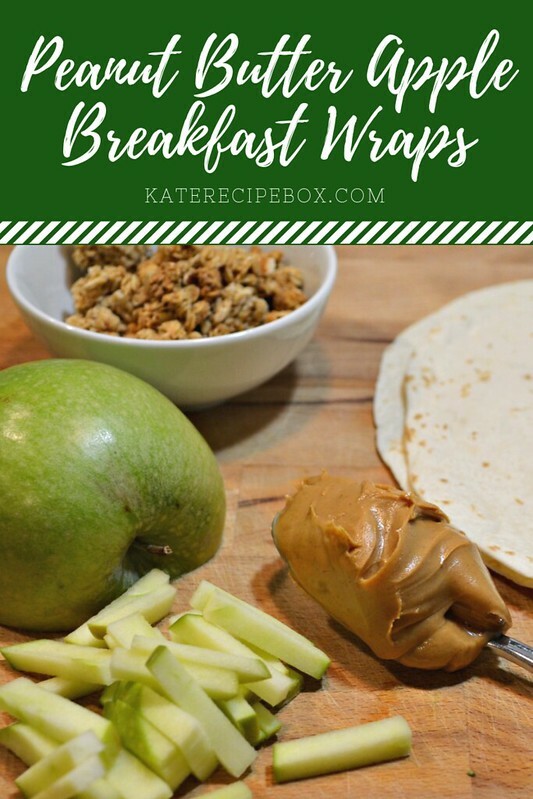 The peanut butter helps keep the kids full, and it pairs so well with the fresh apple and crunchy granola! It’s a perfect afternoon snack, too. Spread the peanut butter on the tortilla. 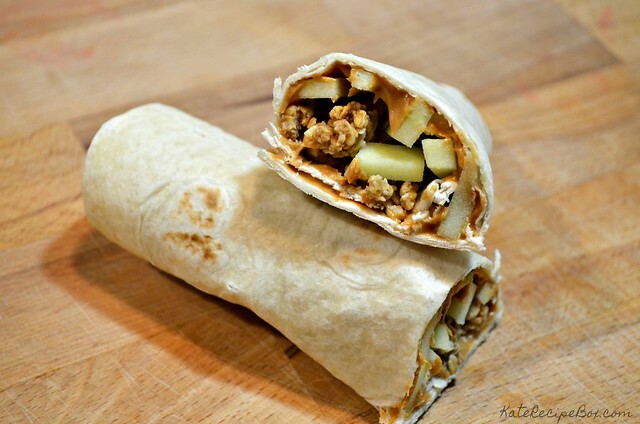 Top with the apple and granola and roll up. Such a unique breakfast idea…creamy and crunchy at the same time!!! The perfect grab and go breakfast. 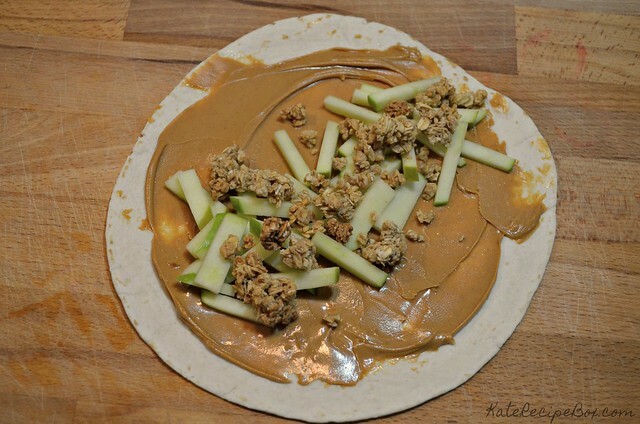 I love to dip apples in peanut butter. This takes the mess out of it!